The grace period extended by the Centers for Medicare & Medicaid Services (CMS) may be the saving grace that is keeping radiology practices from feeling the great negative financial impact many expected under the new ICD-10-CM coding system. Yet, the leniency offered by the grace period that allows the submission of unspecific codes should not keep practices and their radiologists from looking ahead and addressing current coding issues that could eventually result in denials. When radiologists found out that they would have to transition to ICD-10-CM, they feared for their financial well-being since the new system demands more in order for claims to be approved, according to professionals on the coding and billing, financial consulting, and educational sides of the issue. Responding to this fear, some practices opened lines of credit to manage cash flow, explains Michael Mabry, executive director of the Radiology Business Management Association. "Another way to manage cash flow was to build a reserve fund to carry the practice over until claims were processed," he says. Yet, the grace period eased these fears, Mabry says, adding that Medicare's flexibility in accepting ICD-10-CM codes has helped lessen the negative impact. "The grace period has helped avert claims denial on a large scale. Denials have been lower than expected," he says. The grace period, announced the July prior to the October 1 start date for the transition, is averting claim denials because it is cutting facilities and their radiologists some slack in the area that will matter most when it is lifted: specificity. "For a one-year period starting October 1, Medicare claims will not be denied solely on the specificity of the ICD-10-CM diagnosis codes provided, as long as the physician submitted an ICD-10-CM code from an appropriate family of codes," the CMS wrote. "In addition, Medicare claims will not be audited based on the specificity of the diagnosis codes as long as they are from the appropriate family of codes." "Practices that were properly prepared for ICD-10 likely have seen little negative financial impact at this stage. That is due in part to Medicare agreeing not to deny due to lack of specificity," says Steve Schreiber of Partners in the Imaging Enterprise. "Many radiology practices took proactive steps in preparation for cash flow shortages. The fear was that there would be delays in payment with increased denials for lack of specificity. The denials could have simply delayed payment if the practice could resubmit with the detail or [cause an] actual loss of income if the detail could not be provided." The new ICD-10 coding system incorporates much greater clinical detail and specificity, with updated terminology and disease classifications, Schreiber points out. 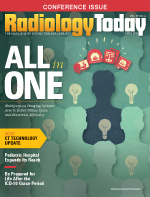 Radiologists will need to be more specific when they are documenting because coders will use the data documented by radiologists to select the most specific code among an increased number of codes for radiology procedures. Overall, ICD-10-CM has 68,000 codes; ICD-9-CM had 13,000. In a nutshell, specificity will be to claim approval as location is to selling houses. For that reason, radiologists need to hone their documentation skills during the grace period, according to Schreiber. They also should keep in mind that some private payers are not extending the grace period, he adds. "Work toward being as specific as possible now. Then, when Medicare shifts perspective and commercial carriers get tougher, there will be no cash flow issues down the road," he says. "Reimbursement is going to become a challenge as a result of ICD-10. It hasn't really become a problem yet because of the grace period, but it will," says Mark Isenberg, executive vice president of client services with Zotec Partners, a radiology revenue cycle and practice management firm in Carmel, Indiana. Many problems in the future, he says, will stem from the fact that radiology departments may be slow to address some of the issues and challenges they are facing now, such as proper dictation and documentation of diagnosis-related information. If not addressed, these items could turn into claim denials and other issues that stand in the way of proper reimbursement. One of the leading challenges radiology practices are facing with this transition concerns the quality of the data that the referring physician and radiologic technologist pass on to the radiologist, Isenberg notes. Radiologists use these data in their documentation that is essential to coding with the highest degree of accuracy and specificity. The referring physicians and technologists must provide enough information so the radiologist can include the details in their report; this gives coders the ability to identify a more specific ICD-10 code vs an unspecified code, he explains. Another challenge is determining whether radiologists have been properly trained to completely capture patient information in their dictation, and if coders are familiar with the new system. "The denials will start when any of these issues are not in place," Isenberg points out. Radiology practices should be especially attentive to the issue concerning the quality of the data being passed on to radiologists, especially since the grace period may keep professionals from feeling the urgency to be as specific as possible. "Keep in mind that this has been muted to some extent because of the leniency that the CMS has put out there for taking unspecified ICD-10-CM codes for the grace period. But it will come back eventually because CMS will start denying unspecified codes much like they did with ICD-9-CM. That's going to start increasing denials, which, in turn, will potentially harm radiology practice revenues," Isenberg says. Practices can ease the routing and management of dictated reports with helpful tools, Isenberg says, suggesting Zotec's Request for Information Physician Coding Portal. "Often we are able to provide physicians and coders with live feedback on reports that require amendments, which is very useful in determining the quality of the data they're receiving for optimized claims management," he says. One of the keys to achieving specific documentation is good communication down the line, from the professionals providing the data to the radiologist (the referring physician and the radiologic technologist) to the radiologists themselves, adds Melody W. Mulaik, MSHS, CRA, FAHRA, RCC, CPC, CPC-H, president and cofounder of Coding Strategies, which performs auditing and provides educational resources and services, including many related to ICD-10. Referring physicians, who pass on the data about a patient by way of an order, cannot be generic or nonspecific. "They have the responsibility to order the right exam for the right reasons and to document the medical necessity to support the service. Some referring physicians have a great opportunity to improve their orders," Mulaik says. The referring physician is responsible for including detailed clinical information about the patient in their order. This information should include details such as the signs or symptoms that warrant the patient's study, and specific details about the case, such as "there is abdominal pain in the upper right quadrant; including nausea and vomiting," Mulaik says. "Good documentation and specificity applies to both the referring physician and their orders as well as the radiologists themselves." What should a radiologist do when he or she thinks a referring physician has written a poor order? The radiologist should consider reviewing it with the ordering physician or having the technologist get further information through a phone call, Mulaik says. "A radiologist should never get to a point where he or she is interpreting an exam without having good clinical findings or symptoms as to why they're doing it," she adds. Data the radiologic technologist shares with the radiologist also help make the radiologist's documentation as detailed as possible, Mulaik says. "Radiologic technologists get clinical information about the patient not so much from the coding standpoint—that is a byproduct—but from the standpoint of is this really the right scan that we should be doing, and why is this patient here," she says. Schreiber echoes the value of the radiologic technologist in the process. "In most cases, it is the technologist who has the first personal clinical interaction with the patient in radiology. The technologist typically escorts the patient from the waiting room to the exam. It is during this time that the details are validated and augmented with the information provided by the referring physician," he says. "Properly trained technologists can play a vital role in radiologists and hospitals ensuring better clinical information and reimbursement." Radiologists have their own findings to include in the documentation, and they must be as detailed as possible, Mulaik says. "If they have a finding on a report, they need to be as detailed as possible in terms of the exact location of the finding, as well as laterality and severity, if applicable," she explains. "Those are the types of things the radiologist can control, and he or she needs to give that an additional level of detail." One of the areas that radiologists will have to be most specific, Mulaik says, is when they are dealing with a fracture. "There are a lot more details in the codes and radiologists have to provide a lot more information than they did in the past," she says. Overall, being as detailed as possible is important for reasons besides ICD-10-CM code assignment. Quality assessment is rapidly changing and it is details that will communicate information about a patient's specific condition. "It's critical to be detailed in reporting because, for instance, there is a big difference between how the 'upper outer quadrant breast cancer in the right or left breast' is treated rather than a 'right breast cancer,'" Mulaik explains. "Many oncologists will only provide 'unspecified breast cancer' or 'unspecified lung cancer,' but they are treating the tumor with radiation, so they know exactly where it is. There is a clear opportunity to improve the level of documentation provided to the radiologists." "One of the best opportunities for process improvement is getting ICD-10-friendly clinical information from the physician, having the radiologic technologist gather additional information from the patient prior to the study, and including it in the radiologist's report," Mabry says. "Training certainly helps with this." Training and educational material are available in many forms. Mulaik says Coding Strategies has two-day training classes on ICD-10-CM for "every condition in radiology: What does the documentation need to look like? How do you assign the codes? What are the guidelines that drive the code selection? All information that the person assigning the codes needs to understand." Coding Strategies partnered with the ACR to develop clinical documentation podcasts, which are available on the ACR website. "In five to 10 minutes, each podcast takes a clinical condition and provides information needed to document it to the highest degree of specificity so that the proper ICD-10-CM code(s) may be assigned," Mulaik says. Coding Strategies also has developed clinical documentation guides that can be especially useful to frustrated radiologists. The guides walk radiologists through the steps of dictating certain types of conditions. Some radiologists are grumbling about the transition, while others are grabbing hold of it. The truth of the matter, Mulaik says, is that the efforts they make now will make it easier when the data from ICD-10-CM are used in emerging quality programs and then further down the road when they have to transition to the next step: ICD-11. According to Mulaik, ICD-11 will not involve as great a transition as the leap from ICD-9 to ICD-10, at least from a systems and documentation point. However, it will incorporate new medical terminology called the Systematized Nomenclature of Medicine (SNOMED). "SNOMED adds a whole new element, but from a coding standpoint, in terms of structure, it will not be as big of a leap," Mulaik says. "In transitioning from ICD-9 to ICD-10, we went from five digits to seven digits, and we went from having a majority of numbers to everything starting with a letter, which required specific system changes." And what happens if claims are denied? "The radiologist's billing and coding staff would determine the cause of denial, correct the cause by supplying additional information, and resubmit the claim," Mabry says. Overall, radiologists should not take the brunt of the blame since they can work only with the material they are provided, Isenberg notes, adding that, if necessary, radiologists should send orders back to the physician to acquire more information. While the grace period has lessened the financial blow to radiology practices, Mabry also credits practices for their preparation efforts. "Medicare's flexibility in accepting ICD-10-CM codes has helped lessen the negative impact, but also, for the most part, radiology practices and their claims processing vendors had time to adapt before ICD-10 went into effect," he says. That time to adapt will help them face the impact when the grace period is lifted, Mabry adds. "Will that impact be greater? Maybe," he says, "but radiology departments and practices will have had time to improve their processes." — Jeannette Sabatini is freelance writer based in Malvern, Pennsylvania.